Facebook Instant Games is announced today. 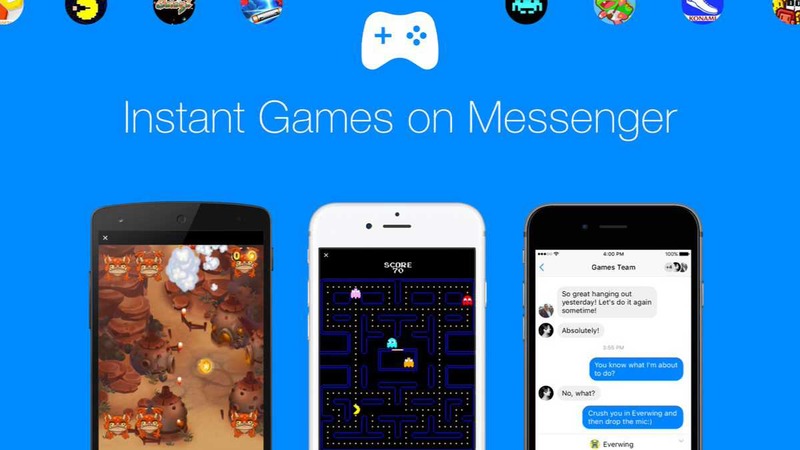 Instant Games is an HTML5 gaming platform that lets Facebook users play games on Messenger chat and in the Facebook News Feed. There is no need to download games. Instant Games supports cross-platform, so they’ll work on both mobile and the web. Currently, Facebook Instant Games service is in a closed beta with a total of 17 games. Pac-Man, Galaga, Space Invaders, and Words With Friends games are included. Previously, Facebook hid a secret basketball game in its messaging service. Messenger will now feature a new controller icon in its main menu. Clicking the icon will bring up titles you can play. The main Facebook app will include a dedicated bookmark so you can find games you’ve already played. Players will now be able to share achievements and high scores with their friends via the News Feed. The company recently launched PC gaming platform Gameroom.